Indoors, only 2 coats with Seche Vite. It was pretty gritty so I put a Color Club clear coat on top later. This is so pretty, I am going to wear this for at least another day even if it kills me! There are different sized orange hex glitters and the smaller glitter pieces I believe are round and square mixed. 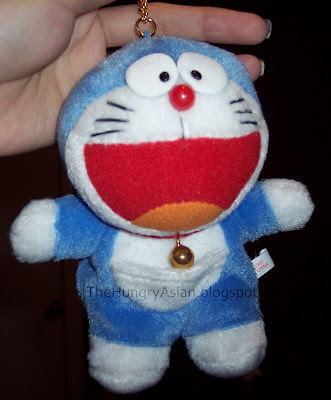 I leave you with more random pictures, a Doraemon wristlet from forever ago! 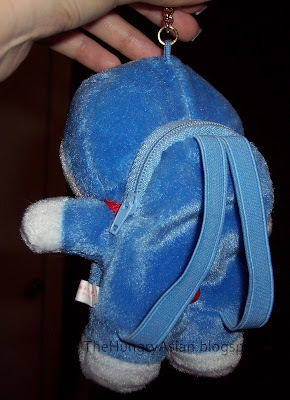 His backpack part is so tiny I don't know what you would put in it lol. Super pretty polish! You're lucky, my Sally's is full of disgruntle employees who never give me the lowdown on China Glaze haha. Glitters are super fun but a pain in the behind to remove. 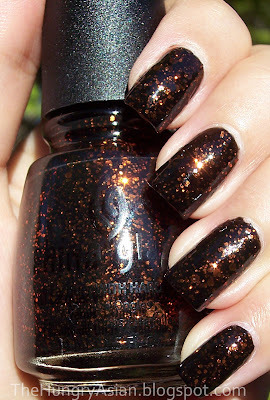 ChG Fortune Teller is perfect for Fall too. It looks great on you. Love your nails. I would put candies/gum in it. And that is such a perfect Halloween polish! Wow, I should get started on something for Halloween. Before I know it, it will be too late! I couldn't find this shade yet, very sad! Lucky you! The Sally near my place knows nothing about it. I will have to hit the other two in town and hope one has it! Hey, I wished crossing my fingers worked for me! LOL! 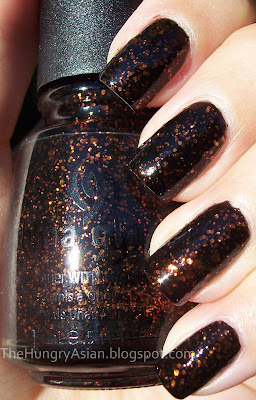 Love the polish though and I agree with Asami - perfect Halloween polish! You got some great sunlight pics of this one. Glad you were able to snag one. You were so lucky you got it early; Fortune Teller is really really pretty. I went to my Sally's and asked if they had any other glitters in the back, "What's out is all we have" was their reply. Now I'm not sure that I believe them! Beautiful! Thanks for the post! It looks like black licorice with bling! Orange hexagons? I can't even believe this exists! I am awestruck by the beauty of it! It's stunning on your nails! OMG! This colour is sooo nice. And I'm not usually one to go crazy over nail polish colours! I want this polish! Looks gorgeous on you. I like your little friend also. You can carry your polish and a file in the backpack.